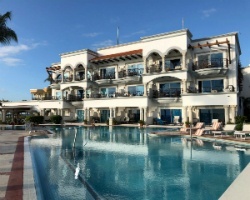 In exotic and sunny Playa del Carmen, award-winning *BlueBay Grand Esmeralda* is open year-round, hosting an incredible and relaxing vacation for guests who want it all. The five-star resort hotel boasts 500 m of private beach, plus large swimming pools, a spa, children's activities, meeting rooms, fantastic international food and a fully equipped gym. In the area, guests will enjoy activities such as snorkeling, windsurfing and other water sports. 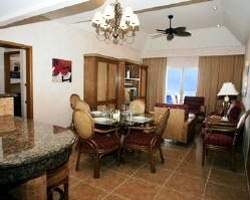 Suites have direct access to either a swimming pool or Jacuzzi. 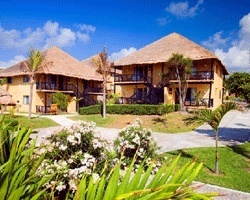 For more information, visit www.bluebayresorts.com. 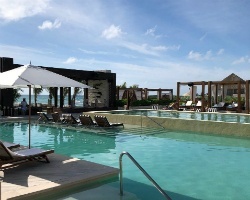 Located in a stunning little bay, *Club Melia Paradisus Playa del Carmen La Esmeralda* in the Riviera Maya combines a prestigious Caribbean setting with world-class facilities, including the ultimate in spa treatments and flexible meeting spaces with state-of-the-art equipment. The Mayan ecological feeling extends to the oceanfront location, surrounded by a lush tropical mangrove preserve with views of Cozumel Island. Eleven restaurants serve a variety of international cuisine, and 10 bars offer unlimited international premium-brand drinks. Also enjoy enriching experiences such as tango dance classes and sushi-making. 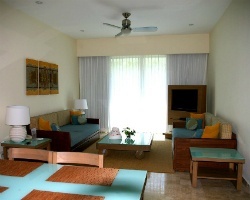 Located at the exclusive Riviera Maya, El Dorado Casitas Royale is just 15 minutes from Playa del Carmen. You can take the ferry to Cozumel. Sunbathe on the white-sand beach, swim, or practice your favorite water sports, including fishing, in the blue sea. Back on land, enjoy the variety of food prepared by the international chefs on site, with a different theme every day. A daily activities program with various tours and additional services will make for an unforgettable experience! 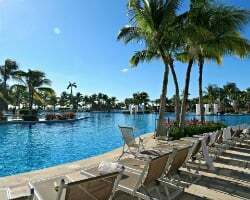 The *El Dorado Royale* is an exclusive, adults-only resort specially catering to vacationers seeking a relaxing holiday in the lap of luxury. 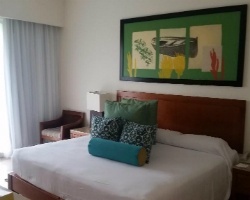 Located in the heart of the Riviera Maya, it is only a short drive away to all the sights and amenities surrounding Playa del Carmen and Cancun. All suites at this award-winning resort feature Jacuzzis and hammocks. 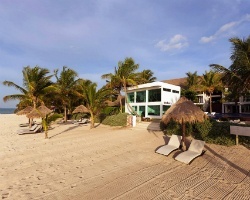 Sunbathe on the white-sand beach of Punta Brava Beach right outside your doorstep. Swim, body surf, or go snorkeling in the blue sea. Indulge in the gourmet cuisine served at the on-site restaurants. Feel refreshed after a soothing spa treatment. 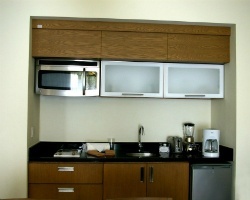 Partake in the resort's all-inclusive package for extra convenience. Your every wish is fulfilled here! 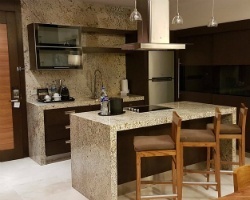 Located in Playa del Carmen, Grand Luxxe Residence Club Riviera Maya features impressive villa towers designed to integrate into the natural surrounding landscape. Indulge in oceanfront restaurants and a snack bar, Rouge wine bar with a selection of wines from around the world, a lobby bar, disco, arcade, and pool bar. Enjoy the kayaks, electric boats, minitrain, cyber cafe, and so much more! Play at the 18-hole par 71 professionally designed golf course. There are several large, beautiful swimming pools, and a luxurious spa offering massages and beauty treatments, a workout room, sauna, steam room, and Jacuzzi. Each luxurious villa is elegantly decorated with contemporary furnishings, state-of-the-art appliances, and a spacious deck or patio with a hammock and dining furniture. The larger units also include a private dipping pool. 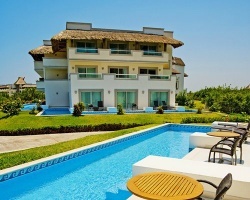 For more information about the Grand Luxxe Residence Club, visit www.vidanta.com. Surrounded by exotic vegetation and with breathtaking views of the gorgeous turquoise waters of the Mexican Caribbean, *Grand Luxxe Spa Tower Riviera Maya* awaits you. Explore the magnificent complex where you can find amazing swimming pools, a Jack Nicklaus design golf course, gourmet restaurants, Brio SPA and more. Grand Luxxe Spa Tower offers comfortably spacious 2 and 3 bedroom accommodations, decorated with elegance and featuring hand-crafted Mexican accents. Each accommodation offers expansive views. On each floor, a private butler attends to your every need. To discover more, visit www.vidanta.com. Come to the beautiful *Grand Mayan Riviera Maya* resort and delight in the mesmerizing beauty of the turquoise waters and golden sands, awe-inspiring ancient ruins and natural wonders, exceptional service and amenities and experience the enchanting beauty of Riviera Maya! *Grand Velas All Suites and Spa Resort* is a luxury beachfront resort, imbued with a unique fusion of contemporary architecture and world class amenities; magnificent cuisine, courteous service, and authentic traditional Mexican hospitality. Culinary excellence at the three all day restaurants (Azul, Bristo and Varadero) and five gourmet restaurants (Frida, Lucca, Piaf, Signature Restaurant and Grill). Twenty four hour room service and concierge services available. An all-inclusive resort located inside an eco-park in the beautiful Mayan Riviera, *Haciendas Tres Rios* has both the best of nature and the best of luxury. Family-friendly, it offers water sports, eco-activities, a camp for teens and kids, a gym, daily and nightly entertainment, dining, a buffet, bars, room service, a full spa, live music, a private yacht club and unlimited gourmet meals, among other amenities and activities! Located right on the beach, there's something for everyone at this stunning retreat. 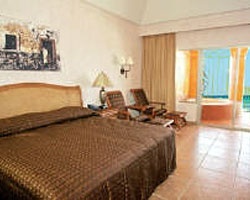 For more information, visit www.haciendatresrios.com. Find luxurious villas and beautiful views at the Hacienda Vista Real! 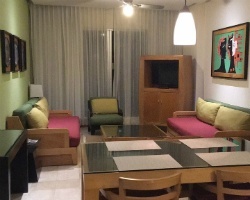 All villas are furnished and decorated. A golf course designed by Robert Von Hague, pool, sauna, tennis courts, and a private beach club just 20 minutes away are all available for guests! Enjoy gorgeous Mexico! 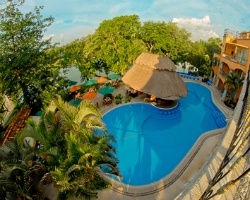 For more information, visit www.hvr.com.mx. 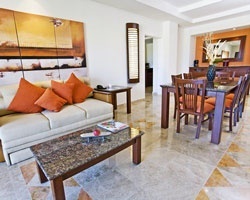 *Hotel Gran Porto Real Resort and Spa* is centrally located in Playa del Carmen! Everything guests might hope for in a vacation can be found at this exquisite resort, which boasts amenities such as pools, tennis courts and a sauna, to name just a few! The Mayan ruins are a great place to visit in the area, or guests might enjoy snorkeling in the coral reefs! Nightlife and live entertainment are abundant in the area as well. For the Mexican vacation of a lifetime, escape to Gran Porto Real! 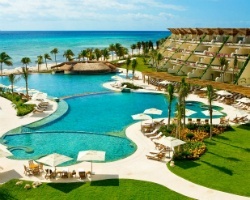 For more information, visit www.realresorts.com.mx. Nestled in a 326-acre pristine nature park in the Riviera Maya, *La Herencia Residence Club at Tres Rios* is a luxury Caribbean resort forty-five minutes south of Cancun's International Airport. Here Mexico's present joins its past and Mexican and Mayan traditions converge to create truly unique experiences. Hacienda Tres Rios Resort boasts 273 suites using native materials and featuring breathtaking views of the tranquil turquoise Caribbean Sea. 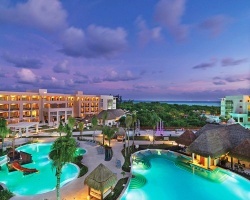 The beautiful *Mayan Palace Riviera Maya*, is just 15 minutes from the town of Playa del Carmen. There, you can take the ferry to Cozumel island. Sunbathe on the white-sand beach, or you can swim or practice your favorite water sports, including fishing, in the blue sea. Back on land, enjoy the variety of food prepared by the international chefs on site, with a different theme every day. A daily activities program with various tours and additional services will make an unforgettable experience at this resort! 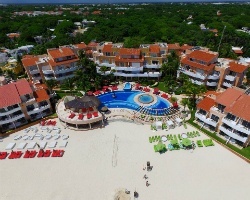 The beautiful *Occidental Allegro Playacar* is situated on the Yucatan Peninsula near the magnificent San Francisco Beach, and 45 minutes on ferry from Playa del Carmen and the Tulum corridor. For marine life aficionados, the Palancar reef is only 5 minutes away by boat. 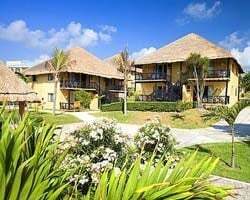 The resort features Polynesian-style, two-story thatched-roof villas with air-conditioned rooms, sun-kissed yellow walls, orange accents, ceramic tile floors, walk-in closets, satellite TVs, and in-room safes. Bathrooms feature bowl sinks. The luxurious *Playacar Palace* is by far the most exquisite hotel nestled on the pristine beaches on the Yucatan Peninsula. 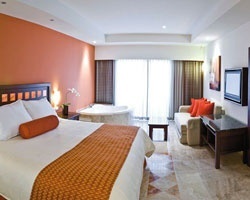 The hotel is a 50 minute drive form Cancun International Airport and set on the outskirts of Playa del Carmen. 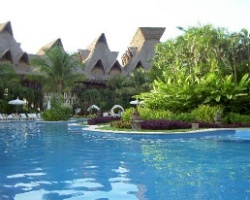 The resort offers a gym, pool, tennis court, playground area, a restaurant, and a wide variety of water activities. 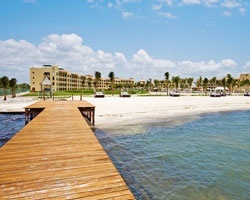 Next to the resort is a marina where guests may catch the ferry for daily excursions to Cozumel. There are Mayan ruins nearby, as well as a botanical garden, tourist attractions, and several public beaches in the area. 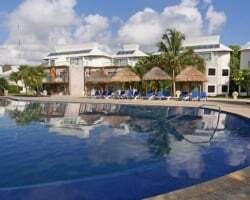 *Reef Club Playacar* is a magnificent vacation mecca on the Mayan Riviera in the coastal town of Play del Carmen where the cruise ships come in. You can take a ferry to the island of Cozumel, or you can enjoy the many shops and restaruants in this small, enchanting Mexican town! Enjoy deep sea fishing, relaxing by the pool or take a short trip to one of the nearby ecological parks. 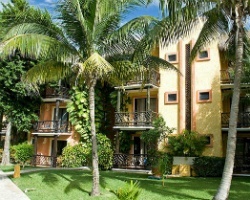 Reef Club Playacar comprises a 3-story main building with a total of 210 rooms. 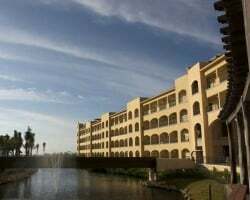 The resort offers its guests a foyer with a 24-hour reception desk, a shop and show hall, as well as a beauty salon and full service spa, 6 various bars, an ice-cream parlor, an air conditioned events hall, and 3 restaurants. In addition, the resort features public Internet access (fee), a laundry service, and a kids club for younger guests (age 4-12) offering a range of activities. For an additional fee, guests may make use of the babysitting service. Parking is also provided. 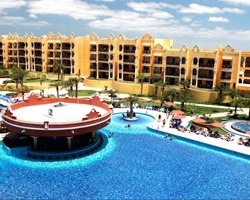 For more information about this magnificent resort, visit www.thereefplayacar.com. Imagine your own Caribbean hideaway that offer the privacy you seek and the exclusivity you demand in the heart of the Riviera Maya. Introducing the new *Royal Haciendas* at Moche Beach and Golf Village, the latest addition to the Royal Resorts collection. Enjoy Luxury and comfort in a splendid natural setting where the rays of the sun warm your heart. 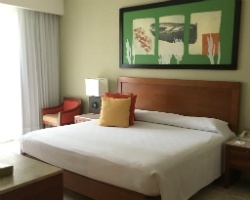 The *Royal Playa Del Carmen* is truly the best resort on the Riviera Maya offering a wide variety of accommodations and inclusive packages to suit individual tastes! There is something for everyone here whether traveling on a honeymoon or vacation, planning a wedding or on a business trip. The hotel becomes an *Adults Only* resort effective November 1st. The property features a wide variety of gourmet restaurants, bars and lounges, two swimming pools, tennis court, a wedding gazebo, a grand ballroom that can be divided into 12 separate meeting rooms and an exciting array of stores and entertainment venues. 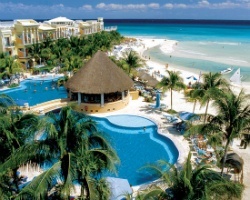 *Sandos Caracol Eco Resort and Spa* is a gorgeous, family-friendly resort in the Mayan Riviera. The hotel is all-inclusive, and amenities range from great food and international cuisine to the opportunity to partake in exciting water sports! Nearby attractions are plentiful - the legacy of the Mayan culture is yours to discover! 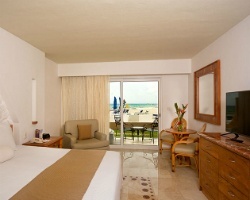 Enjoy a relaxing vacation in your beautiful suite! 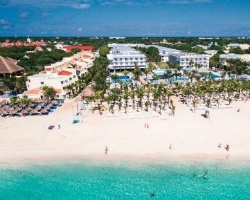 *Sandos Playacar Beach Resort* is a tropical beachfront paradise that is perfect for families and anyone else who wants a worry-free vacation. 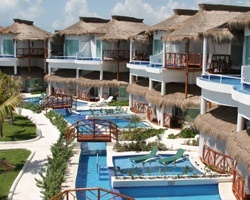 This all-inclusive resort is located in the famous Mayan Riviera on the Playacar complex in Playa del Carmen. The friendly and resourceful staff can assist guests with a wide range of services, such as providing facilities and equipment for water sports or booking exciting excursions. 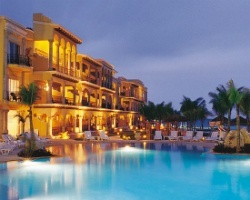 Sandos Playacar serves first-class international cuisine as well as delicious local specialities. 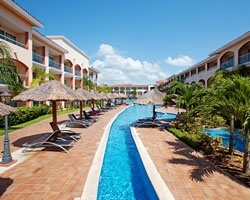 *Secrets Maroma Beach Riviera Cancun* is an adults-only resort, offering romance and sensuality in a lush setting. Seven gourmet restaurants provide satisfaction for every palate, and present a wide range of dining experiences from fine dining to swim-up bars. 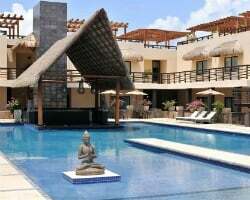 This all-suite resort features a shimmering infinity pool and twelve smaller surrounding pools. The fabulous Secrets Spa by Pevonia offers a variety of lavish outdoor and indoor treatments and Jacuzzis. 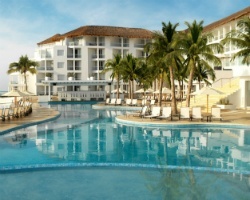 To discover more, please visit www.secretsresorts.com. *Sunset Fishermen* is located in Playa del Carmen, Mexico, and makes for a great vacation getaway! 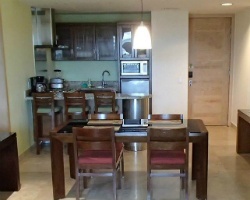 The resort offers a swimming pool and is near restaurants and shops in the Playa del Carmen area for your entertainment. Visit ancient Mayan ruins in Tulum or take a ferry ride to the main dock to Cozumel. Come and enjoy a relaxing and wonderful stay here at Fishermen's Village...your fabulous vacation destination! Ownership comes with 4 registered weeks, 4 VIP weeks and 48 corporate weeks! No maintenance fees on the corporate weeks! Inquire for details! Central location close to just about everything you could need! Week 44 during even years! Inquire for more details! 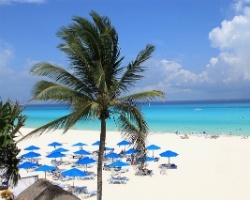 Enjoy tropical vacations in beautiful Playa del Carmen! Up to 3 weeks per year! Buyer may receive title fee credit! Owner ready to Negotiate Now! 2019 MFs paid! All Offers Considered! Price Reduced! Year round resort with stunning views! Floating usage! Buyer may receive a title fee credit! Fantastic resort in Mexico! Pick your vacation dates every year! RTU until 2118! Inquire for more details! 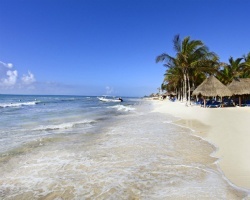 Vacation every year in the beautiful Riviera Maya! Floating week! All reasonable offers considered. Start planning your romantic beach trip today! Rental is available in week 17, April 27th through April 29th, 2019! Inquire for more details! 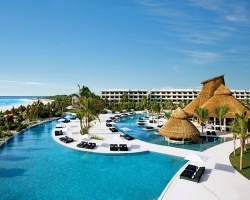 Luxurious resort in the Mayan Riviera! 2000 annual points! Inquire for more details! 3 weeks per year during the first 10 years! Then 2 weeks per year after! Buyer may receive a title fee credit, inquire for details! Come relax at this tropical paradise! Lots of great amenities and activities right on site! Buyer may receive a title fee credit, inquire for details! Pick your vacation dates with an annual floating week! RTU until 2111! Buyer may receive a title fee credit, inquire for details!!! Sale includes a golf membership and a 3 bedroom rental week for March 8th through 15th, 2020! Motivated seller! Buyer may receive a title fee credit! Motivated Seller! Make a reasonable offer! Beautiful location 2nd floor! Week 45! Buyer may receive a title fee credit, inquire now! Motivated Seller! Perfect tropical getaway! Great for golf lovers! Floating week! Buyer may receive a title fee credit, inquire for details! Perfect resort for a peaceful couples getaway! Floating week! Buyer may receive a title fee credit, inquire for details! 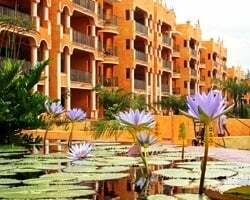 Enjoy fun and relaxing vacations at this lovely resort within a nature park! Floating week! Buyer may receive a title fee credit, inquire for details! Relaxing resort with stunning beach views and incredible sunsets! Maintenance fees paid when used! Luxurious resort with world-class amenities! Floating usage! Buyer may receive a title fee credit, inquire for details! Highly motivated seller. Luxurious accommodations each year! Relax at your very own tropical oasis! Buyer may receive a title fee credit. With RCI membership, week exchanges for 21,000 RCI points! Buyer may receive a title fee credit, inquire for details! Or Best Offer! 233 weeks remaining on the RTU contract! Price reduced! Motivated Seller willing to look at offers! Buyer may receive title fee credit!